Make handmade party favors for your child's next birthday party with this project. 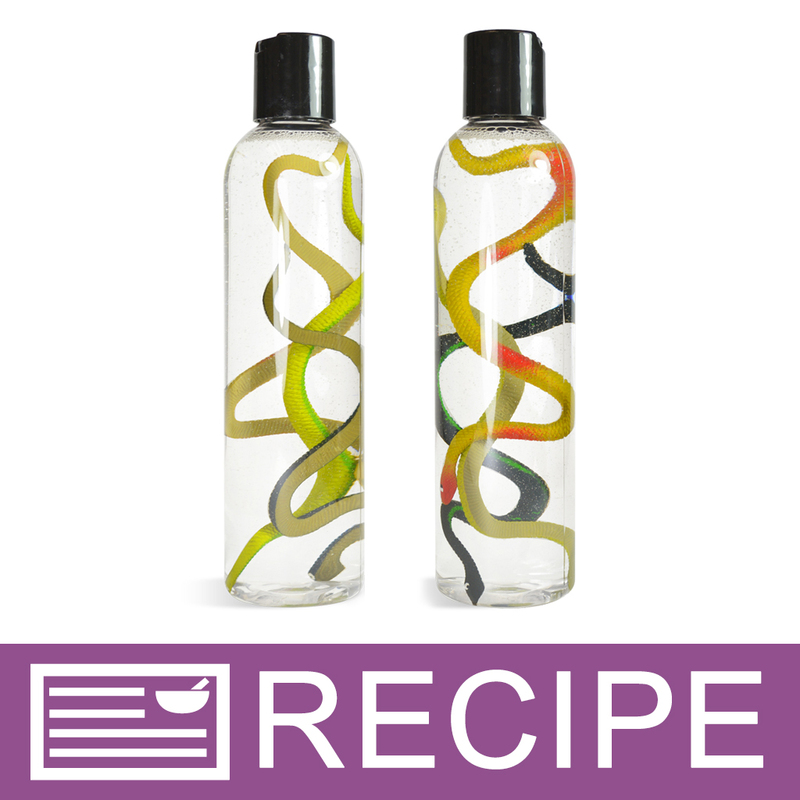 Kids will love this slithery shower gel! Vinyl snakes are included to give kids an incentive to use up all their soap. 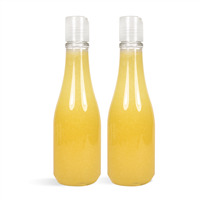 This shower gel is quite bubbly, and could be used as a bubble bath as well. It’s scented with galactic grape for a kid-friendly and fruity scent. You Save $25.05 by purchasing this kit rather than buying the items separately. COMMENTS: The grandkids loved it! COMMENTS: I added this kit in an effort to add variety to my product line. I love the ease of using this kit. I would not change a thing. COMMENTS: I made these for my grandson's fourth birthday party and handed them out to the boys who came as gifts, they were a HUGE hit, not just with the boys but with their parents too! I didn't like the idea of the "grape" fragrance so I used bubblegum :) Since this was such a big hit with my grandson and his little friends, I am going to make a big supply to take to the craft shows, I am calling it bubble bath because like another reviewer mentioned, it makes a little too much bubbles to use in the shower. The smile on my grandson's face and being the coolest grandma ever makes this product a winner for me! • huge hit with the kids! COMMENTS: I love the kit (with the exception of the caps provided). Instructions are easy to follow. I think this will be a good seller for the kids. • Wish the kit was supplied with flip cap. COMMENTS: I purchased this product as a project for me to do with my young daughter. She loved it. The project was easy enough for young children to do some of the steps. Will definitely order again. "Great Project For The Kids"
COMMENTS: This wasn't difficult to make and I would recommend marketing it as a Bubble Bath instead of a body wash/shower gel as there are tons of bubbles! My only complaint was that the Grape Fragrance that came with this kit. It was rather over the top and smells a lot like either Grape Cough Syrup or Kids Drink Mix. I made a few batches: One with the grape, one with pink lemondade, another set with Dragons Blood and a Mojito Style Scent..
"My soap came out cloudy. Is that normal? What can I do to get my soap clear?" Staff Answer Be sure to use the recommended amount of fragrance in this recipe. The gel may clear as it sits overnight. 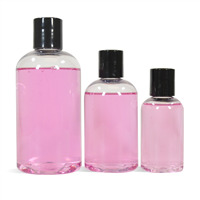 If using another fragrance oil, that may cloud your product. Each new fragrance needs to be tested for compatibility. "Is it possible to swap out the grape fragrance oil with another of our choice? I agree with the othe comments that the grape scent is the only thing not on point for this kit. Also, do you have bottle tops that are bit easier to open. The ones in the kit are quite difficult for children to open." Staff Answer We are unable to make any changes to a kit. You would need to purchase a separate fragrance or purchase all items separate. You can purchase a screw-on cap (basic top) that can be taken on and off if this cap is too hard to use. "Are your toy products non-toxic to children and animals? "